SSNOW otp 4/12. Handyman special! Perfect for a fixer-upper, flip, or rental. Good bones, but requires some TLC. 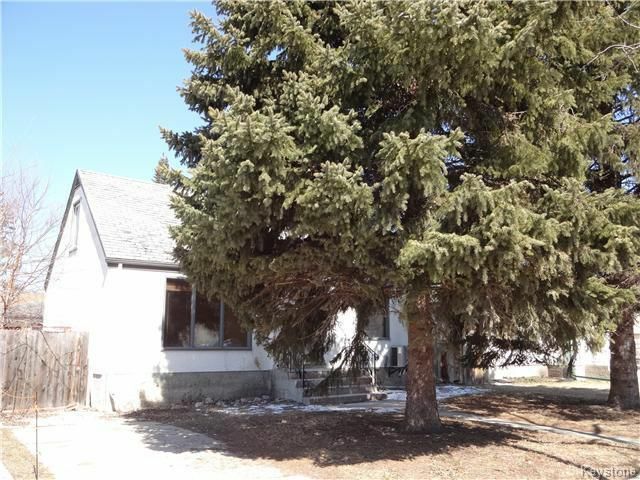 It has a mature, treed lot, single garage, large backyard, finished basement with recroom and 2p bath and former bedroom. Walking distance to St. George school or Glenlawn Collegiate. Hardwood floors, large eat-in kitchen, and central air. Former bedroom on main floor (now an office) can easily be converted back to make this a 3 bedroom , or even a four bedroom if the basement is fixed up. Dishwasher not working...house to be sold in 'as is' condition...St. Vital experienced Realtor.Tons of potential!! 80% of millionaires became so through real estate, get in on the main floor!